More than 300,000 excited yearly visitors enjoy the cultural activities of Tonhalle Duesseldorf and they can now profit from their brand new smartphone App. 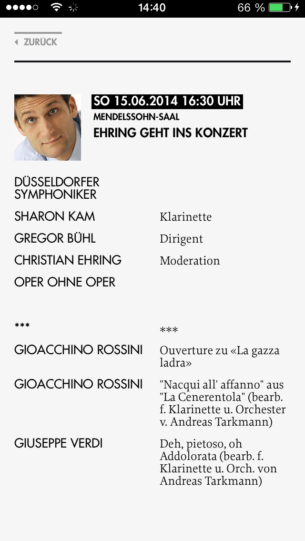 More than 300,000 excited yearly visitors enjoy the cultural activities of Tonhalle Duesseldorf and they can now profit from their brand new smartphone App: it ranges from current concert recommendations and the selection of the desired event, to the in-app purchase of the ticket! 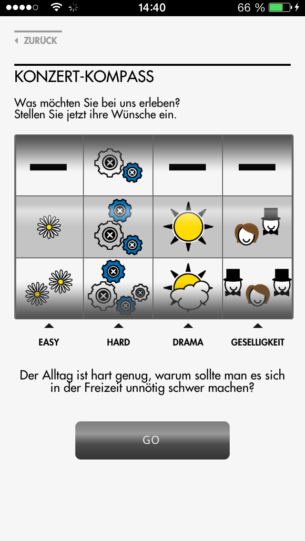 By clicking “vor Ort”, the user is able to inform himself about all the facilities of the Tonhalle – they can find directions and get information about the catering opportunities. 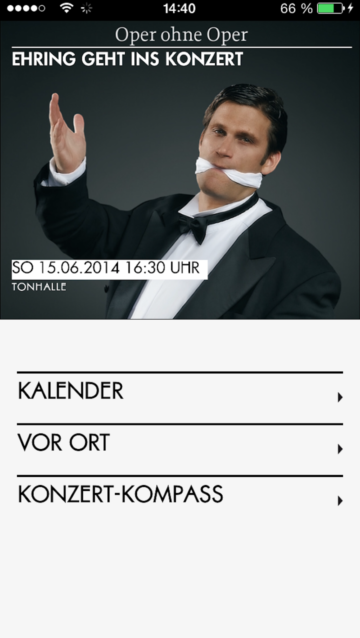 The “Konzert-Kompass” gives information about the program, which is shown in the Tonhalle. 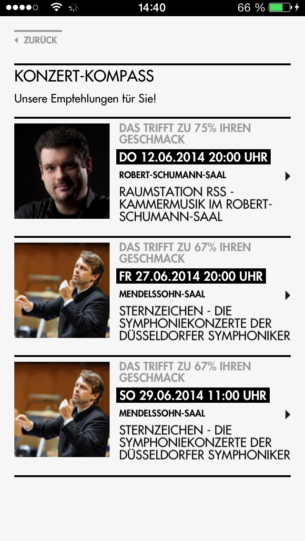 This service is only available in the Tonhalle app. 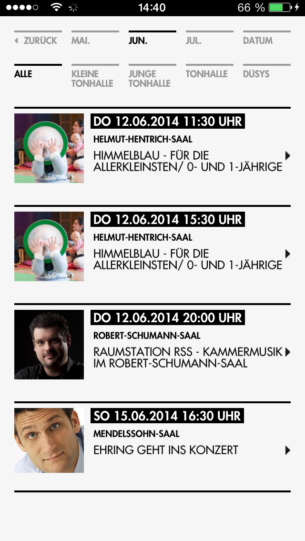 The user is able to create an emotional list of wishes and the “Konzert-Kompass” displays a custom concert route. Ticket purchase via the app.